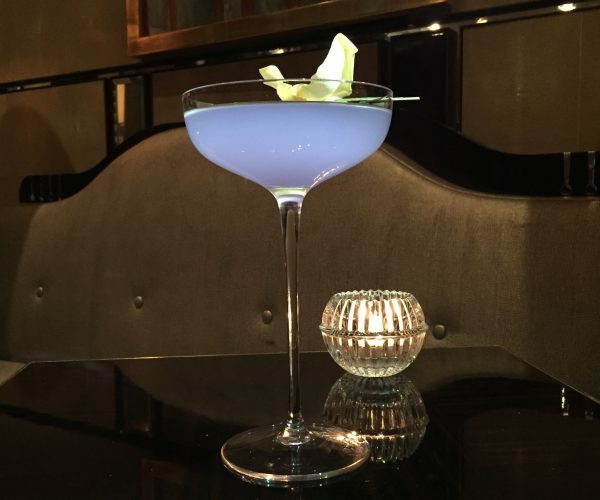 The Bassoon Bar mixologists at the Corinthia Hotel London have been busy developing five unique cocktails to capture the colour and the characteristics of the leaders of the five main political parties. With the general election just round the corner BBB was invited along to review and give political comment on these bureaucratic cocktails. 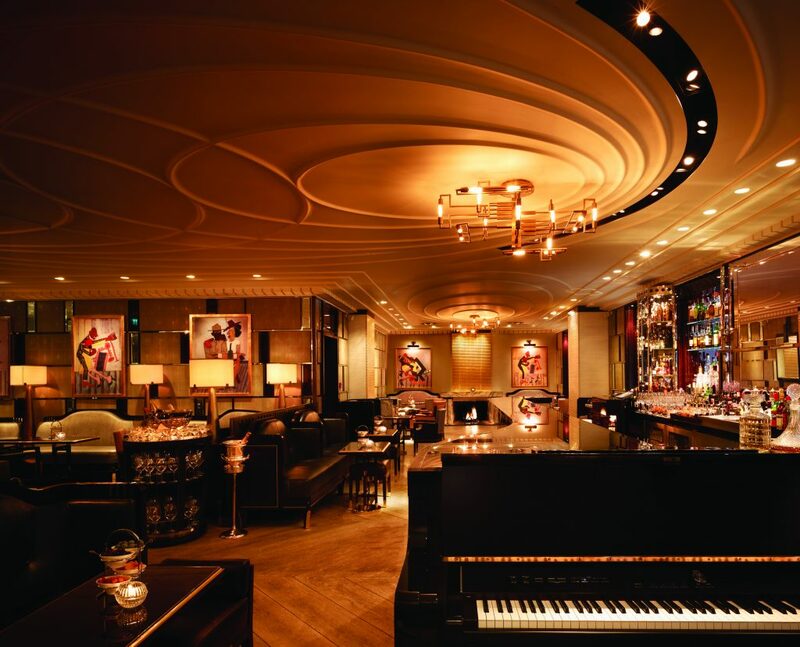 Having stepped off a plane from Austria literally a couple of hours before, walking into the very laid back Bassoon Bar was quite a welcome way to unwind after a day of being in transit. 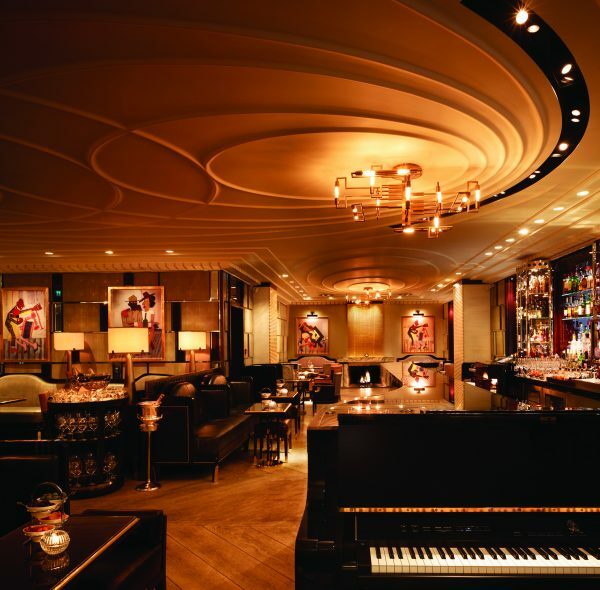 The bar has a very 1920s/30s style with low lighting, live piano and lots of plush leather and mirrored wall panels which makes for a very relaxed and intimate atmosphere where the pace of life seems to slow down. However, it was now time to drink our way through the political parties of local Westminster. . .
We started with a hung parliament of Conservatives and Liberal Democrats with the cocktails ‘Call Me Dave’ and ‘Compliant Clegg’. ‘Call me Dave’ mixed a dash of gin with lillet blanc, lemon juice and blue curacao which of course creates a very blue looking cocktail, which on first sip was not as sharp as it first looked! It was smooth and perhaps a little too easy to drink. As for Compliant Clegg, well this cocktail was a mellow-yellow, non-alcoholic blend of apple juice, and passion fruit which resulted in something refreshing, very sweet and rather simple, but because there was no alcohol it was never going to be quite as strong as our blue friend. Next up was ‘Gordon Bennett’ a green cocktail made with a blend of gin, lime juice, green chartreuse liqueur and maraschino. Now this cocktail was very unusual and I had a feeling that this one would grow on me. It was best described as tasting like a pine forest with medicinal overtones, which may not sound particularly appertising, but this was in the lead as far as I was concerned. ‘Gordon Bennett’ was closely followed by ‘Red Ed’ which was based on vodka, martini rosata, and orgeat topped up with cranberry juice and muddled lime. Wow, this cocktail really put on a visual show and initially tasted a bit like a Bakewell tart, however, I have to say it didn’t have many other layers to it and what looked like it might deliver a lot in the way of punch was somewhat deceiving. It was now time for the finale with ‘Naughty Nigel’ which was a mix of vodka, violet liqueur, and bubble gum syrup. This cocktail tasted very ‘candy coated’ with its bubble gum syrup and I’m not sure one could handle too many of these. Now it was time to ‘cast our cocktails’ and choose from amongst the five we should vote for. After all of these sugared characteristics and strong spirits it was difficult to clear the mind and choose wisely, so we turned to Ieva our very knowledgeable waitress; what she knew about cocktails and alcohol could fill an encyclopedia! IIeva gave us advice on what to drink next to help see through all of the alcoholic propaganda! Up first we went for a ‘Corinthia Negroni’ and a ‘Mantovani but we still weren’t sure of our votes so Ieva suggested that my partner go for a ‘Martinez’ and that perhaps I just needed something straightforward and British so Ieva suggested that I opt for a good old cup of ‘English Tea Punch’ to ponder over! So, what is to happen on the 7th of May? 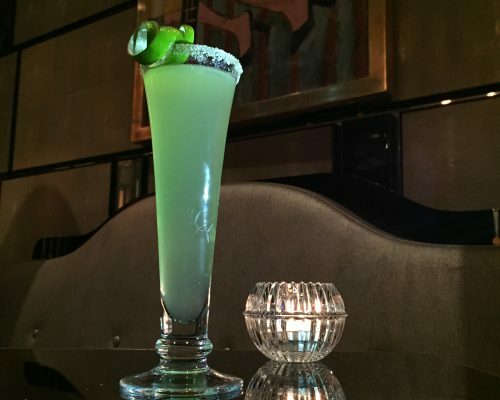 Well it goes without saying that all of our cocktails were delicious but if our political cocktail session was anything to go by we might just have another hung parliament, but this time the yellow may have just turned green?!? 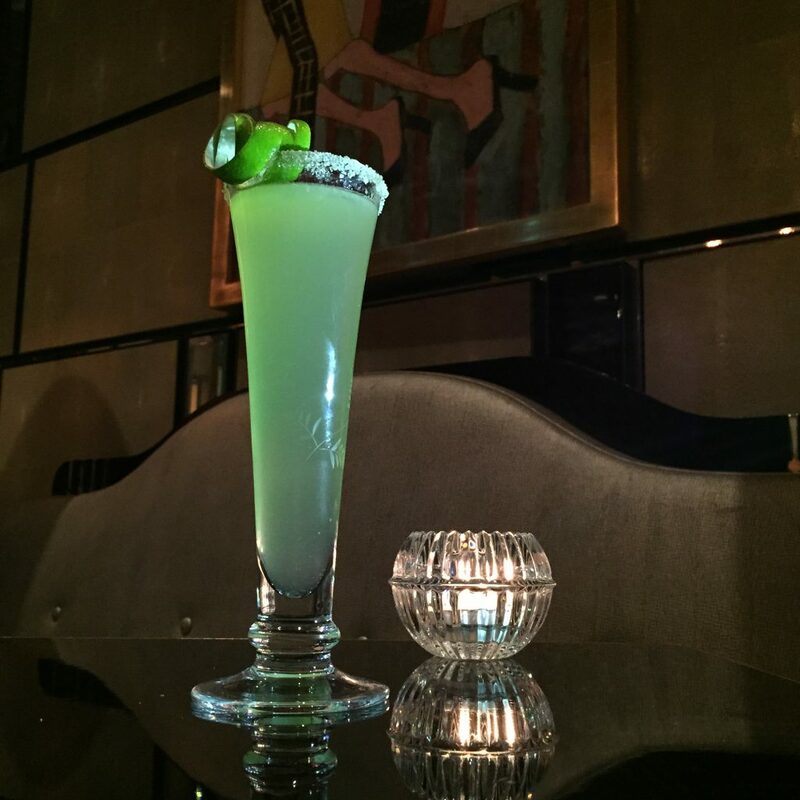 You can ‘’Cast your cocktail” at Corinthia London from Thursday 23rd April until Thursday 7th May 2015. Call Me Dave, Red Ed, Compliant Clegg, Gordon Bennett, and Naughty Nigel will be available daily in Bassoon, priced at £15 each. More than one vote per person permitted – cast yours carefully!